Grand Central, an open access train operator and part of the Arriva Group, has submitted its application to operate additional services to the Office of Rail and Road (ORR) for consideration. Following a period of consultation with other train companies and industry stakeholders, Grand Central submitted its application to the ORR to operate more trains per day. 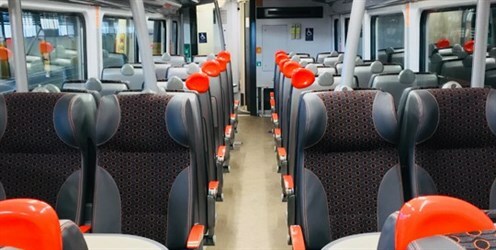 The new services would run on its current routes as well as offer new direct journey opportunities for passengers travelling to and from Peterborough. 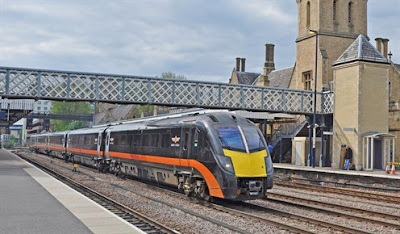 If approved, the move will bring Grand Central’s current daily North East route operation to six return services (currently five) and its West Yorkshire route would see six trains to London and five returning from London throughout the day (currently four). These additional train services will provide an additional 1,600 daily seats to or from the capital, in response to demand from Grand Central customers for more services for their local communities, and will be operated by Grand Central’s Adelante fleet, which is currently undergoing a significant refurbishment programme. Grand Central was ranked No. 1 for overall journey satisfaction, and was also rated best value long distance train operator for the sixth year running in the National Rail Passenger Survey, Autumn 2017. The train operator was also the highest rated for customer satisfaction amongst British leisure and commuter travellers, according to research published by consumer champion Which? • One additional train between Bradford Interchange and London, departing Bradford in the late afternoon. 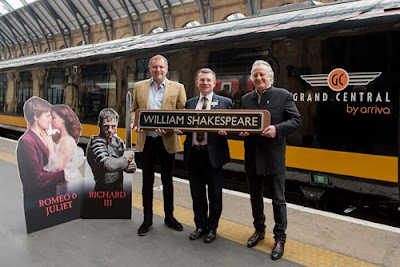 Class 180 train was recently named William Shakespeare. Richard McClean, Managing Director of Grand Central, said: “We have been encouraged by the support we have received from a number of consultees. We believe that expanding our operations will benefit both our existing and potential new passengers, as well as grow existing markets. “As well as bringing additional benefits to our customers, we see these additional services as continuing the economic growth we have supported in communities along our routes by enabling social mobility and enabling communities to thrive. The proposed additional services are an important part of Grand Central’s longer term strategic development, building on the strong growth we have already seen on our existing routes. “The proposed services are essential to encouraging competition in the rail market and to connecting communities and businesses. By offering low fares and benefits which are valued by our customers such as free Wi-Fi and plenty of legroom, we aim to make train travel an attractive and affordable option.